Below is the frequently asked questions concerning our PSD 2 HTML service. *2 + 3 = ? Charm HTML is a happy team of experienced freelance web developers with an average coding / project experience of over 4 years. 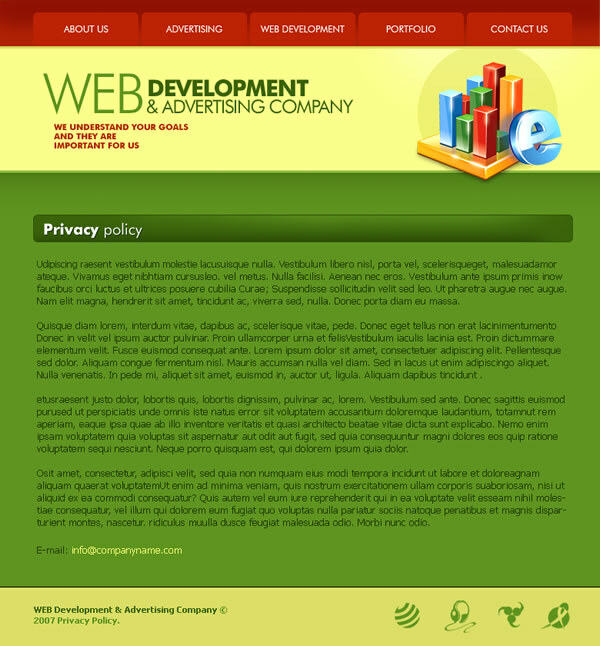 In a word, we slice your designs and write high quality XHTML / CSS code to reproduce them in web browsers. We free you from the chores of code production, taking on the job so that you are not distracted from what you do best and focus on profitable value. Time is money. Front end coding can be time-consuming and a profitability disaster. Investing time into producing code only reduces the number of projects you can deal with at one time. So we are here to rescue. How are you going to make my life easier? Just use the contact form or log into the client area to fire us a ticket. We are always available for inquiries and will respond as quickly as possible. For work, we are available unless otherwise stated on front page. To keep things simple, we charge by the page. 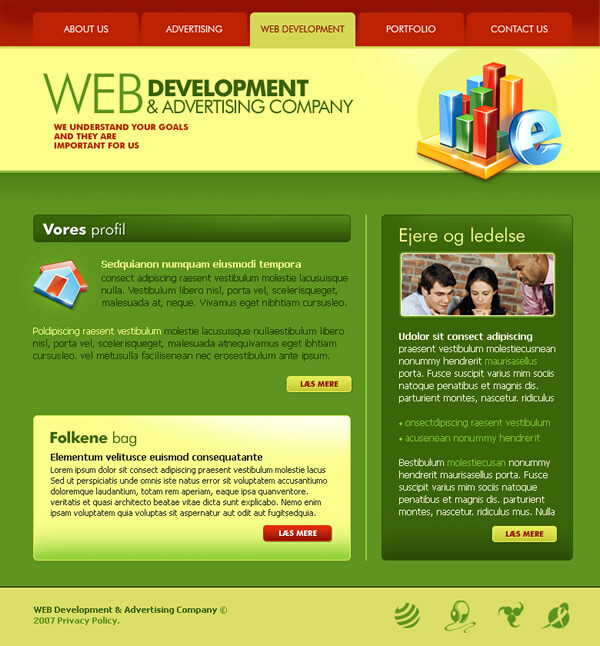 A new page is any page that uses a different layout or carries different content. Just count them up when you place your order. The first page costs $189, the 2nd costs an additional $129, the 3rd just $119 and so forth. If we come across a unusually complex layout, requirements or some other anomaly, we contact you immediately if additional work will be required at our end to deliver the results you and your client want. What is a subpage and how much does it cost? 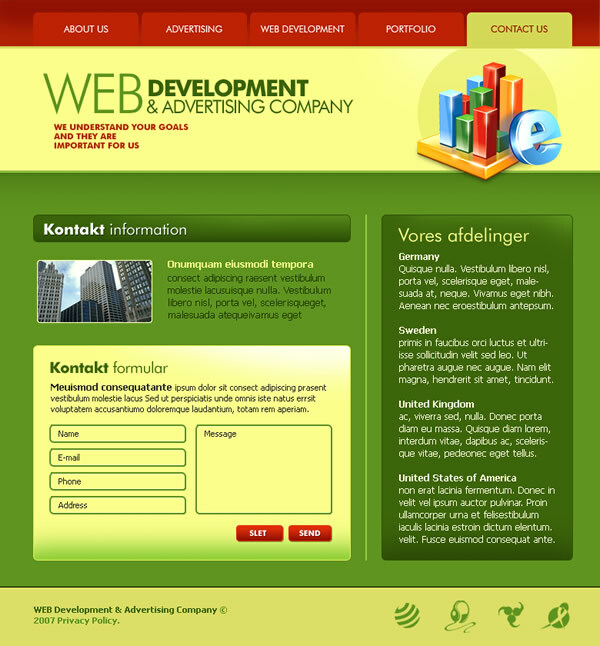 A subpage is an additional page with different content using a similar structure to your design. Each subpage costs $129 if it has a similar resemblance to your original design. Of course. The 2nd page is only 68.3% the price of the 1st one while the 3rd is even further discounted by $10 and so on. Our built-in calculator will work out the total amount correctly taking the discount scheme into consideration. Sure why not. We offer returning customers appealing discounts that can be as high as 40%. *3 + 9 = ? Design sources: make sure you send us the source file of your design, preferably in PSD (Photoshop) or PNG (Fireworks). Custom fonts: if your project uses custom fonts please be sure to include them in the order form, supply it at client area, or send them to us via email. Other: please don't hesitate to tell us all the trivial details you'd like to be done in the final work, we are always ready to satisfy each and every paying customers like you. Also note that some of your requirements that are beyond basic package may cost us considerable time, in this case, we'll have to charge a little more for the work. What do you mean by a source file? When are you starting on my project after my order? Place order any time you want, we'll start investigating your design and specifications the next business day or right away if we are available just that day. If the design is unbearably complex and lengthy, or your requirements are not easy to accomplish, we'll contact you first to give you a custom quote and possibly ask for more than what the ordering system has quoted you, or, reject the work and refund all upfront you have paid. This has never happend before though. Will your code work on both PCs and MACs? 100%, for all modern popular browsers on both platforms. Is your XHTML and CSS cross browser compatible? Have you got any previous examples or portfolio? Lots of 'em. They are all in the portfolio section. My site has custom effects, is this included in the price and how do I send you related information? If the effect is minor and doesn't require much coding, it would come included in the price; however, if it does require quite extra time we'll have to charge a small fee for it. The elements that need to be displayed on this effect should be included as a separate file or simply as a layer on your source file. Moreover, if you can send a description or outline about how this has to be done, it would definitely help! We are experts of Web accessibility standards and will implement Section 508 as well as WCAG 1.0 Level 2 guidelines in all our code. *6 + 7 = ? 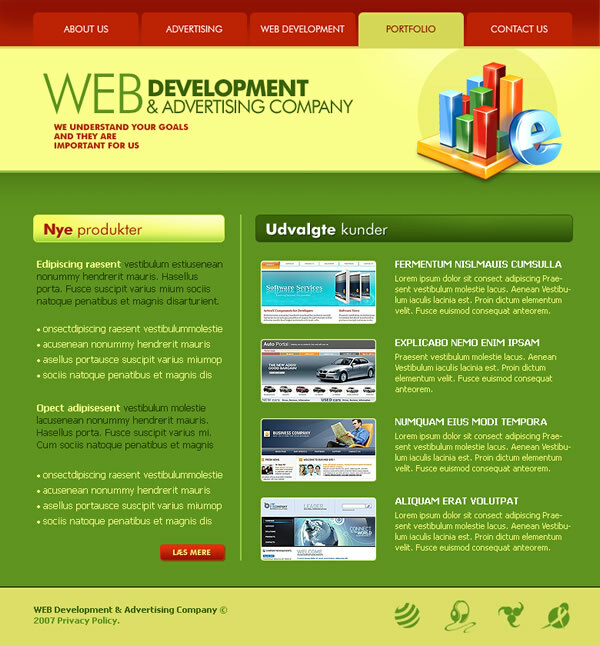 Our focus is PSD to HTML service, that is front end code production, and the delivery of that service to the highest standards. We can help with actual site construction and implementation, but this is not our design department; if that's what you need just tell us and we'll get you to the right team here. No. 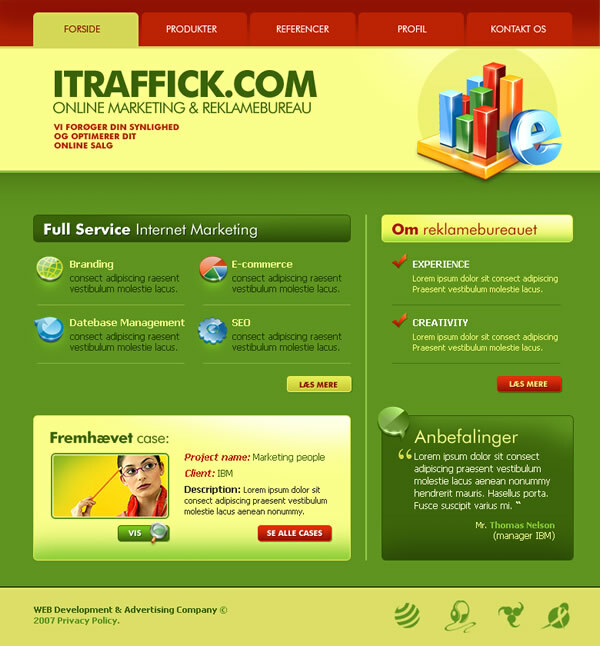 The markup we produce is already well optimized for search engines, that is, search engine friendly or SEO friendly. 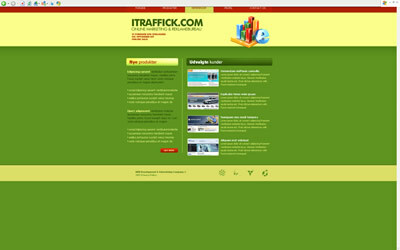 However if you need help driving traffic to your site, simply contact us and we'll recommend to you some ingenious internet marketing teams. Can you do back end or server side scripting like PHP? 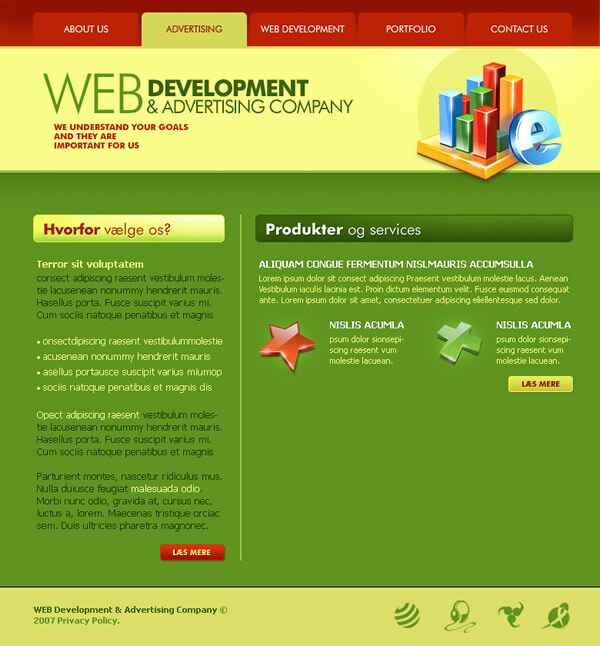 We can fulfill small PHP jobs rather decently in regards to our PSD to HTML service. However if you need some big projects coded, we can connect you to some of the best PHP + MySQL project teams here. Just ask! Sorry no. However if you really need someone to code a Flash or ActionScript, we can surely recommend someone to do it for you. Can you implement sIFR where needed? Sure, no problem. But please do send us the custom fonts you are using. Can you embed Flash files? Yes, we can do it for you. Just give us the flash file or we'll make it a placeholder first and implement it later when it's ready. Do you offer open source CMS / Blog integration? Can you code Microformats, XFN and XMDP? Microformats (hCard, hCalendar, hReview), XFN and XMDP are our favorite dish! Just ask for it via order form or client area if you need any done. What are your payment terms and why do you ask for a deposit? The work on your project will begin as soon as your deposit of 50% has been received. The remainder is due upon completion. This policy has been put in place simply because it is very effective in weeding out unprofessional clients. If you are serious about your business you surely understand the importance of time and money and how crucial it is to ensure one gets paid. How do I pay? What's the payment methods? We use PayPal as our payment gateway which is fast and secure, accepting all major payment methods including popular credit cards. Just contact us and upload a design to get a free custom quote. You will be guided through to the actual payment page if you are happy with the what we ask for. We handle all orders in USD. What happens if I'm not satisfied with your work? We'll first try to sort out the issues together with you and possibly come to a resolution. However if it still doesn't work out, we'll issue a refund. Never had any complaints though. *3 + 4 = ? Do you practice a NDA (Non-Disclosure Agreement)? We automatically sign a NDA for all projects we take on. Can I trust you with my designs that you won't show them to anybody before I publish them? Will my clients know about my partnership with you? No, you get complete anonymity. We respect your business and value long-term relationship with you. What about ownership and rights? You have full rights of the work we do for you. We get nothing except for your trust and money. What is your turnaround? How soon can I get the completed code? Our turnaround is 3 working days by default. Quicker turnaround is available at an additional fee. Please just specify when you need it done in the contact form. We never miss agreed delivery times. Never. Because designs have varying complexities and lengths that even though you may request a specific deadline at a certain price through the order system, we do have to confirm that your expectations are possible before we get down to work. Therefore if you need a short turnaround with a fairly large order, we'll have to give it a discussion on whether it's possible regarding your budget. How does your "3 Working Days Turnaround" guarantee work? Before we start slicing up your design we require a 50% upfront, once this has been paid we will begin slicing and it will be ready within 3 working days from that moment onwards. This time does not include revisions; depending on the amount of revisions you want this may take slightly longer. How do you deliver the work? You have total control over how the delivery is done: client area download, email attachment or uploading files to your server for you. How do you call it an acceptance of delivery? We will put up the finished work on our site and then ask you via client area in addition to email to give it a full test against the original design. Upon satisfaction, you should clear up all due payment (in most cases, rest of the total amount beside the 50% upfront) and sign the acceptance letter. Of course we support you, or what is service for? =) We will help you along the way, answering all questions and doing minor revisions as you request for a limited time after project closure. Yes, for a limited period of time after your acceptance of the delivery. I don't know what to do with the files I have recieved? No worries. We are more than happy to give you some advice to get you on your way.